As Lord Narayana came here as ‘Mannan’ to wed Mahalakshmi and asked Swamy Nathamuni to share the Divya Prabandham and the Vaishnava Sampradayam to the world at large, he is glorified as ‘ Kattum’ ‘Mannan- Aanaar …which in course of time, Kattum Mannan-Aanaar became Kattu Mannar. The above sloka …. reverberates in all srivaishnava temples and homes glorifying the rich sampradaya we have inherited from our poorvacharyas …. 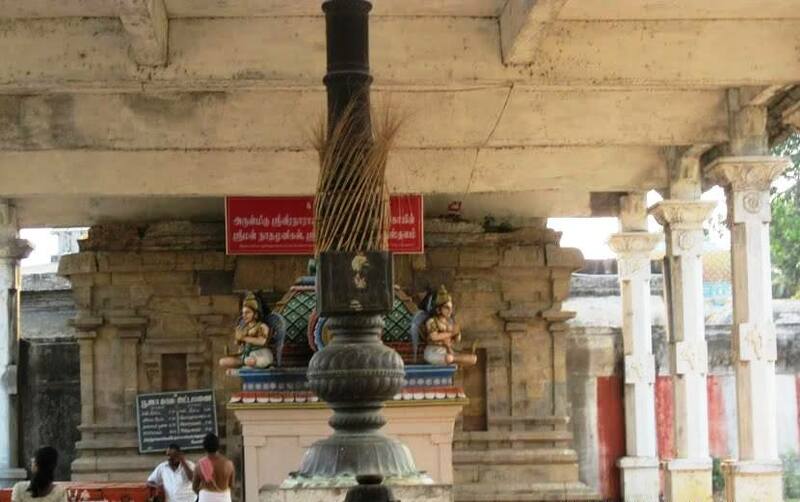 Swamy Nathamunigal and Swamy Alavandar, the two great acharyas have been pillars to Srivaishnava sampradayam, took their avatara at the holy place Kattumannar koil, which is 25 kms from Chidambaram in Cuddalore district of Tamil nadu, South India. 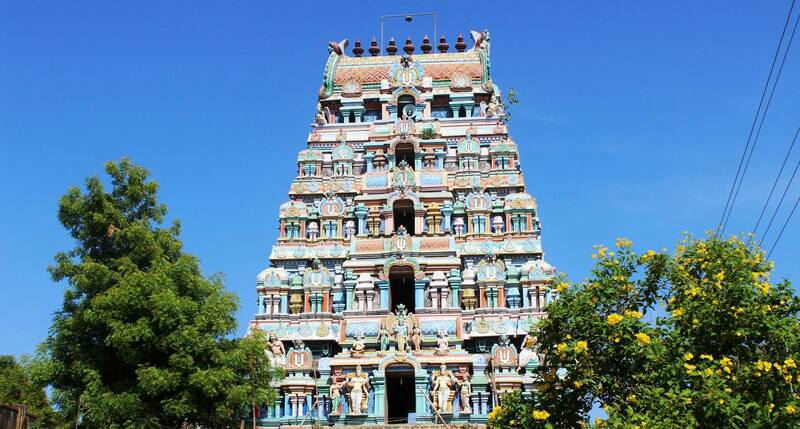 Kattumannarkoil (situated on the banks of the vast Veeranam Lake) hallowed by the birth of these Acharyas is the only place with magnificent temples dedicated to Swamy Nathamunigal and Swamy Alavandar. Swamy Nathamunigal was the foremost Acharya of Srivaishnava sampradaya . Nathamuni mastered himself in Vedas at a very young age. He was devoted to Lord Veera Narayana Perumal and spent most of his time performing daily ( aaradhanai) poojas for the Lord here. One day, during his pilgrimage to Thirukudanthai ( present day Kumbakonam ) Temple he was attracted to the Archakas chanting the divine nectarine verse …. Aaravamuthey song…. The devotees ended the song with the words… “ these 10 out of the 1000” verses . Swami Nathamuni was drawn to these songs and pleaded them to sing the rest of the 990 verses. However, they expressed ignorance and said they knew only these 10 songs which they were reciting daily following their ancestors . 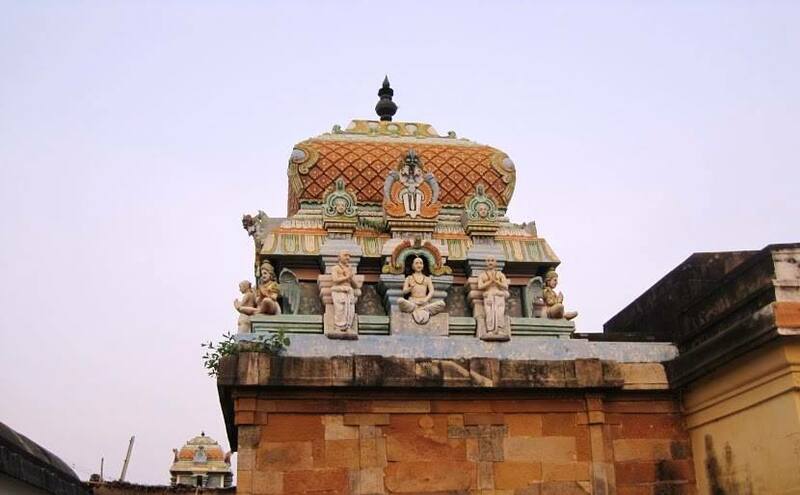 Seeking to find the remaining of these divine songs, Swamy Nathamuni proceeded from Kattu Mannar Koil and went to Kumbakonam, where Lord Aaravamudhan appeared before him and asked him to go to Thirukolur for knowing more ..
Swamy proceeded to Thiru Kolur, where he got initiated with the great Acharyar Madhura Kavi Azhvaar’s holy verses of Kannin Siruthambinaal. He came back to Thiru Kurugur and meditating under the Tamarind tree, recited these divine verses 12000 times. On completion of which the all compassionate NammAzhvaar is said to have appeared before him and shared the entire 4000 songs the “Divyaprabhandam” —Naalaayira Divya Prabandham which we are able to relish glorifying the LORDSHIPS . 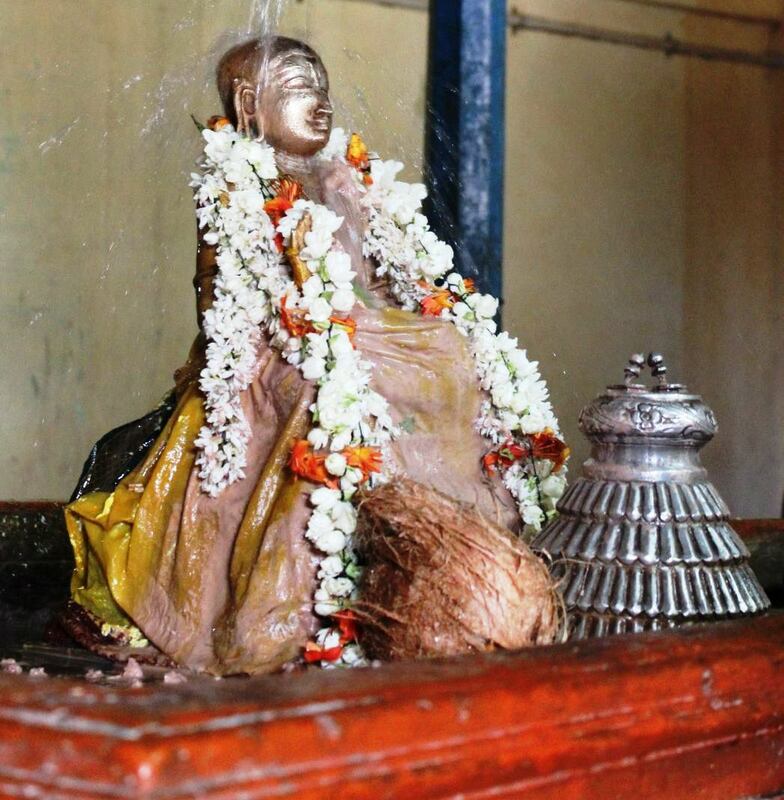 Lord Veera Narayana Perumal is then said to have called Swami Nathamuni back to Kattu Mannar Koil where the Vaishnavite Saint chanted and shared the “Naalayira Divya Prabandham”. 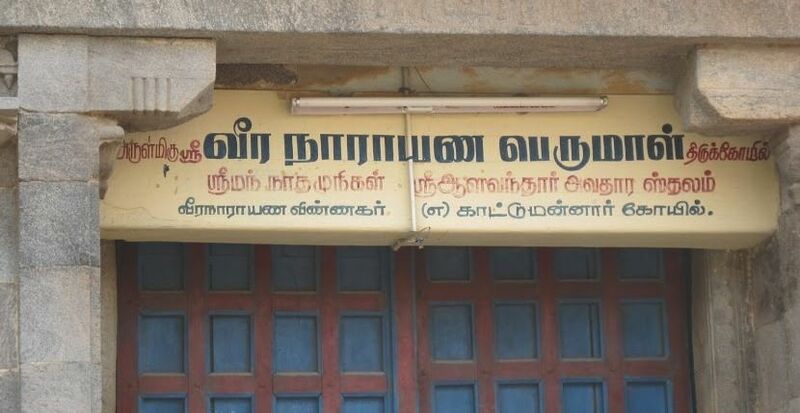 Thus, Nathamuni of Kattu Mannar Koil, was instrumental in bringing back to the world the 4000 verses of the Azhvaars. He also initiated the Sri Vaishnava Sampradayam from here. As Lord Narayana came here as ‘Mannan’ to wed Mahalakshmi and asked Nathamuni to share the Divya Prabandham and the Vaishnava Sampradayam to the world at large, he was referred to as ‘ Kattum’ ‘Mannan- Aanaar’ (the Lord who came aa kings and later presented the entire prabandham through Nathamuni). 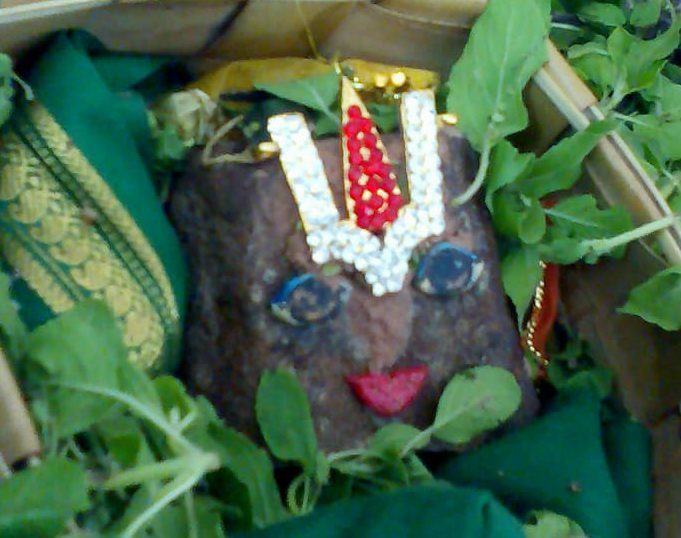 In course of time, Kattum Mannan-Aanaar became Kattu Mannar. Nathamuni’s grandson was named as ‘Yamunai Thuraivan’(Alavandar) . Born in Kattu Mannar Koil, Aalavanthar would travel to Srirangam and spread the message of SriVaishnavism. 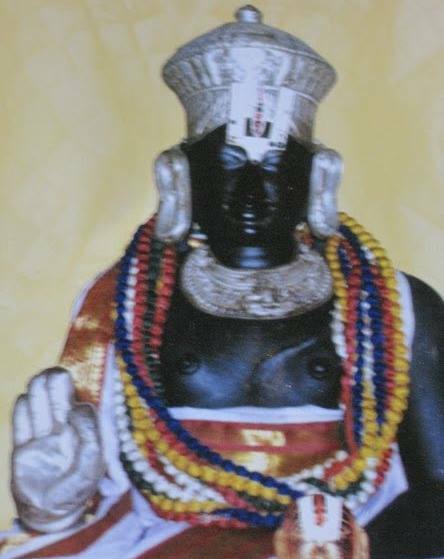 Swamy Ramanuja was nominated by him as the ’to be’ next Acharyar of the great sampradhayam after his disappearance . 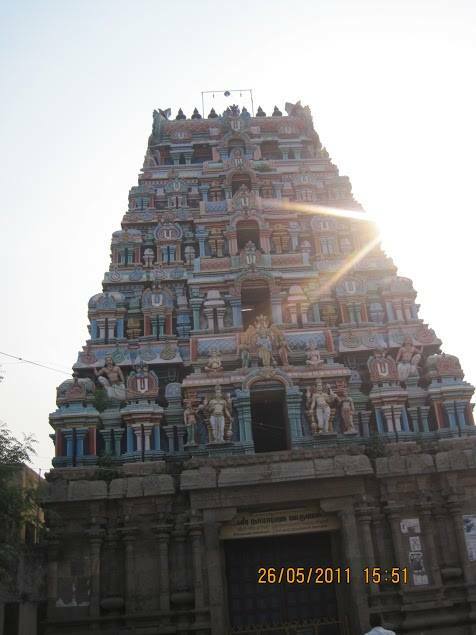 Alavandar’s disciples include Periya Nambi, ThiruKoshtiyur Nambi, Thiru Kachi Nambi and Srirangam Araiyar. A clip was taken during our in which Bhattar elaborately explains in tamil about the glorious Srivaishnava Sampradayam. 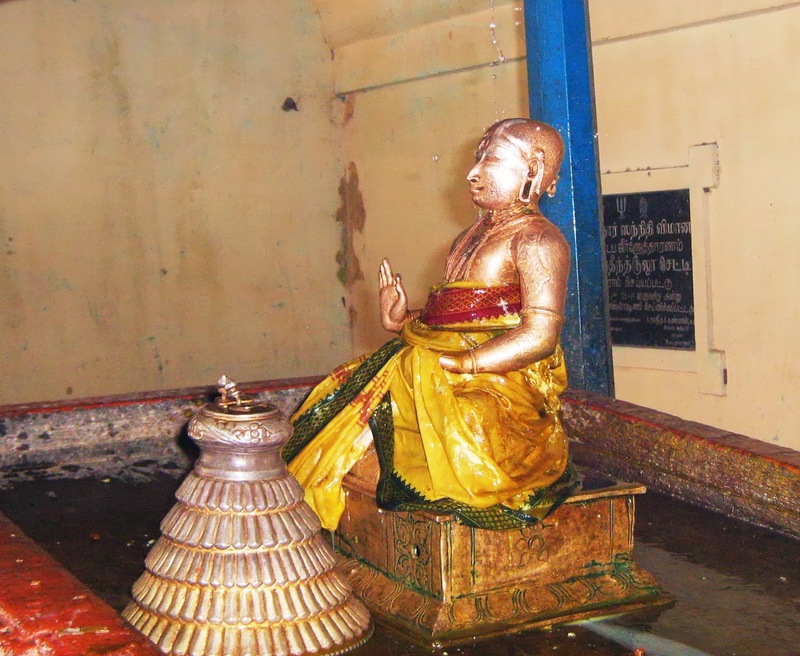 Swamy Nathamuni set the 4000 Divya prabhandam to tune and music and taught to his dear disciples Melai agatthazhwAn and Keezhai agatthazhwAn (his nephews) and propagated the divine nectar in various divya desams. During the period ,once , the Chozha King got down along with his wives to have darshan of Lord at Viranarayanapuram temple at Kattumannar . Looking at the Royal couple in such great ornaments, crown, and silk cloth, Nathamuni who was a transcendental devotee , for a moment lost himself and thought Lord Krishna with His devis would have come from Dwarakai. 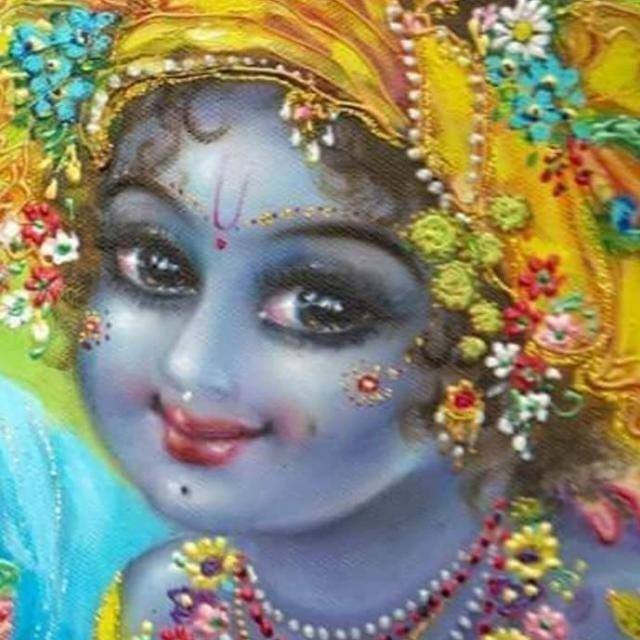 He fell at the feet of the king seeing him as Lord Krishna . The king was shocked and immediately sprung to lift Nathamuni and realized the deep devotion the Sage had .He immediately submitted himself for his offense . During another occasion, the king had just completed discussing with the Sage about Lordships divine pastimes. He took Acharya’s permission to leave. He started walking towards the chariot. When he was about to board, (as usual, the king used to call the chariot driver on whose shoulder he used to set his foot to jump into the chariot), the driver was there for the king to jump in. After he jumped in, he saw below and it was Nathamuni’s shoulder. The king was shocked . He got down to apologize for his grave offense . He felt ashamed and said ! Swamin …. “What have I done! Stepped on your shoulders! that too my Acharyar !!! Nathamuni thought it was Lord Rama who had come by the chariot along with Sumanthrar. Hence, he offered his shoulders for Lord to step into the chariot. That was Nathamuni’s unalloyed devotion who was always in transcendental bliss always seeing LORDSHIPS everywhere . One day Swamy Nathamuni was in deep meditation . The Chozha king passed near Veeranarayanpura with his soldiers after a hunting exercise. The sage, interrupted in his meditations by the attendant bustle, opened his eyes and, construing the party to be the divine Lord Rama and his brother in the streets ,( on whom his thoughts were wholly bent in meditation ) followed the track of the party and walked with weary steps till the very gates of the Chozha capital Gangaikondapuram from Kattumannar Koil and went searching ..
Nathamuni already in that bliss imagined ” Lord Rama with his brother Lakshmana and Mother Sita have come to grace him . He fainted at a place in a divine bliss and reached Lord’s abode on an Ekadasi day. Swamy Natha Munigals appearance day is being celebrated on 25-06-2018 ( Aaani Anusham ) in all Srivaishnava temples . Previous postThe Highest transcendental truth… “Just become an instrument…… “nimitta mattram bhava savyassaachin mayaivaite nihataah poorvameva…..